Would this year be calmer? A slight adrenalin rush in early May when frost threatened, but the season was uneventful (at last…) and everyone could smile again. The quality of the grapes was excellent, no problem with the vinification, everything went smoothly. Expressive of red fruit, the wines have produced a very pleasurable vintage. Catastrophe… An early Spring had given the vines a big head start. Then, after more than three weeks of rain, the temperature plunged below 0° overnight on 26–27 April. To make matters worse, the sun decided to shine in the morning of 27 April, producing a black frost that wiped out 85% of our crop. Our harvest was very small, to be sure, but the balance and concentration of the grapes were outstanding. So wines from this vintage are extremely intense, balanced and generous. After a Spring that was (at last) normal, nature decided to have the last laugh with a long, scorching heat wave. Many grapes were scorched, but we were spared the hail (the thunderstorms could be quite violent…) and we remained optimistic. The grapes reached maturity in early September, and harvesting took place in summer-like conditions. The vats weren’t filled, but what quality! We’re taking our first steps at Beaune and at Pommard. We had been affected by the disastrous hail damage that hit our colleagues here in both 2013 and 2012, and then – the “3-strike rule” applied so, unfortunately, on June 28th we lost almost the entire crop… Despite this, the quality of the remaining grapes was excellent, and we produced our first vintages at Beaune and Pommard. Luck was on our side in Nuits Saint Georges, Ladoix and Aloxe Corton. We began grape-picking on September 12th on a beautifully sunny day, and the sunshine lasted throughout the week it took for the harvest: beautiful grapes, perfectly ripe and healthy – the wine-grower’s dream! On 18 July 2013 we signed a lease agreement for new vines at Beaune and Pommard. The current wine-grower was to harvest that year’s grapes and we would work the plot after the harvest. As agreed, we worked the plot, but then the hailstorm on July 23rd stripped almost all the harvest from the vines, so our priority task was to organise work to care for the vines repeatedly hit by hail. All this after an extremely damp Spring everywhere (we even came across ducks swimming amongst our vines… it’s true, and we hadn’t been at the Nuits Saint Georges before starting work…). 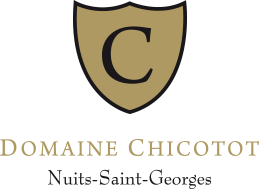 Consequently, harvesting would start at Ladoix on October 3rd, followed by Nuits Saint Georges on October 5th. It was bitterly cold, but that didn’t discourage the grape-pickers, who kept working thanks to lots of hot coffee and hot soup. But at least we wouldn’t need to cool the harvest! Well, it had to happen! After November’s extremely mild, even balmy, weather, December 2009 saw the mercury plunge to – 19°. With the soils waterlogged this was a disaster. In some areas the vine stock died. It will take more than three years to gauge the extent of the catastrophe. The first effects were felt with the harvest. We began on September 24th but there was only half the normal crop. But what a superb quality!